Żenia Klimczak is a graduate of the Academy of Law and Diplomacy (International Relations/Public Diplomacy), specialized in the Foreign Policy of the Republic of Kazakhstan. She was an intern at the Polish Embassy to Kazakhstan and later has worked at Thomson Reuters. Currently she is a Tri-City Alumni Club Coordinator and a Polish-Russian freelance translator. Graduate of the 7th edition of the Academy of Young Diplomats. Octavian Milewski is a political scientist specializing in Central East European area studies. He is an alumnus of the New Europe College and a Black Sea Young Reformers alumnus. In the past he has collaborated with research centres and think tanks in Romania and Europe, including the Research Centre for East European Studies at the University of Bremen,the Center for East-European and Asian Studies (Bucharest), Friedrich Ebert Stiftung (Bucharest\Berlin) and Black Sea University Foundation (Bucharest). His areas of interest are post-Soviet area studies, Russian foreign and security policy, Black Sea regional and security studies, as well as the European Neighbourhood Policy and its impact on good governance in the Eastern Partnership countries. He is currently an M.A. student in European Interdisciplinary Studies with the College of Europe at Natolin, Warsaw (2015). Graduate of the European Diplomacy Workshop and New Security Leaders program. Leszek Pochron-Frankowski is a graduate in International Relations, specialized in the Iranian Nuclear Program and its safety. He has worked at the United Nations HQ in New York, and later at the Polish Embassy to Kenya on a UN related issues. 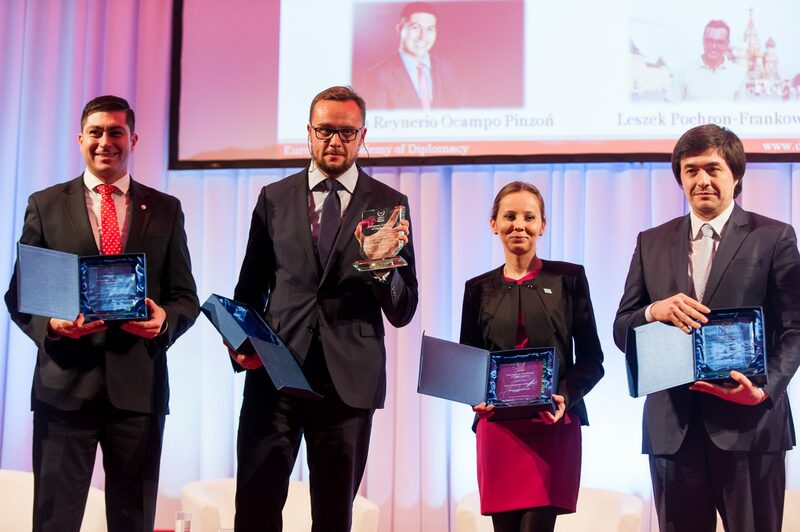 Currently he is a member the board of the Polish Forum of Young Diplomats regional office, a member of Gdansk City Council and serves as assistant to the Undersecretary of State at the Ministry of Administration and Digitization of the Republic of Poland. Graduate of the 7th edition of the Academy of Young Diplomats and the New Security Leaders program. Duvan Reynerio Ocampo Pinzoń is a career diplomat, counsellor and Head of Disarmament and Non-Proliferation at the Ministry of Foreign Affairs of Colombia. Former Advisor to the Colombian Deputy Foreign Minister. Former Deputy Chief of Mission at the Embassy of Colombia in Poland. Currently lecturer in Multilateral Policy at the Colombian Diplomatic Academy. M.A. 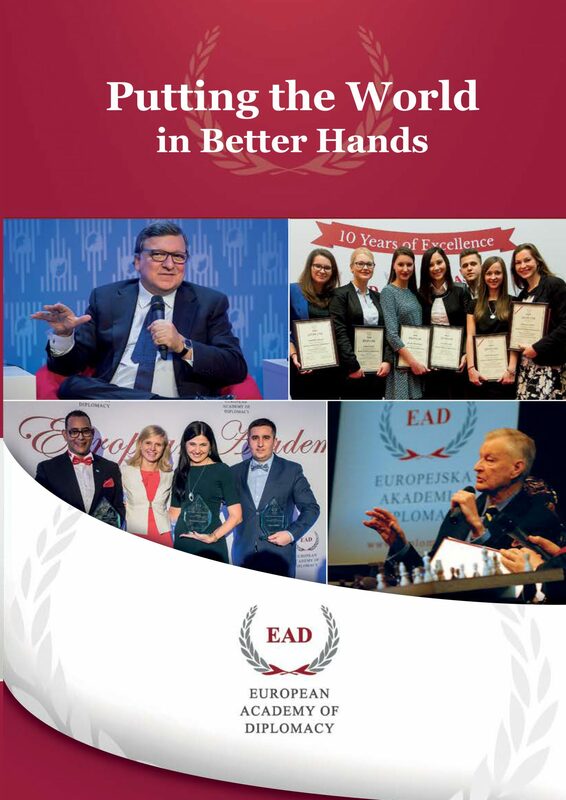 in Interdisciplinary European Studies from the College of Europe (Natolin, Poland). M.A. in Public Administration from the École Nationale d’Administration (Paris, France). B.A. in Finance and International Relations from the Externado University (Bogota, Colombia). Graduate of the European Diplomacy Workshop.